"Boyz to KINGS of Madison Fla"
As a former Program Director of a male juvenile facility, I am more than dedicated to the lives of our young men. 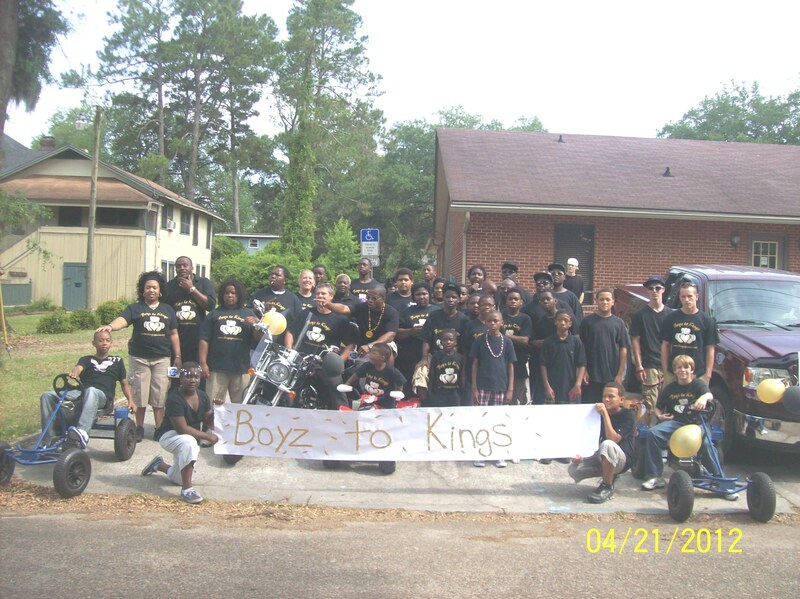 Boyz to KINGS was established in January of 2010 in the city of Madison Fla. Myself (Marvin Merv Mattair), my partner Wayne Frazier, and a few supportive parents understood that we can complain about the state of our young men but changes only come about when we as adults decide to take a stand. We strive on role-modeling more so than only mentoring, since our youth are more receptive to what they see. We are losing our young men at a fast rate so that tells me that something needs to change. If we always do what we always did then we will always get what we always got, so we decided to give our youth something different than what was giving to us because we refuse to wait until they are deep into a situation before their taught about prevention strategies. We are guided by 12 principles in which we take one principle a month and work hard at it, making sure that every BTK youth get it embedded within. Positive Propaganda is the strategy!!!. Guest speakers from the community are often invited to come by and speak on the specific principle that we are on, giving our youth more knowledge in that area. We don't have a grant, or residual income from any one source as of (September 8, 2013), so we have functioned solely off of love, passion & faith. Our goal is to see more young men in leadership roles, starting within their families. We want to decrease the number of young men that's being incarcerated, we want to decrease the male drop out rate, we want to decrease the number of abandoned children by teaching pre-fatherhood strategies, and so much more, but we understand that the only way to make this happen is to renew the minds of our young men by tackling the areas that have normally caused them to be a statistic instead of who God created them to be. All of our youth will be trained in ABSTINENCE & Risk Avoidance strategies. THE BIGGEST PIECE TO THIS FAMILY IS THE PARENT INVOLVEMENT PIECE THAT'S REQUIRED. WITHOUT THE GUARDIAN FULL TIME SUPPORT, WE WILL NOT WORK WITH THE YOUTH. We have taken the following Principles and built this Boyz to KINGS family, so if you may have questions about the more in depth functions or wish to support the mission, please feel free to contact Merv at 850-673-1003 or email me at royalty@myexcel.com.